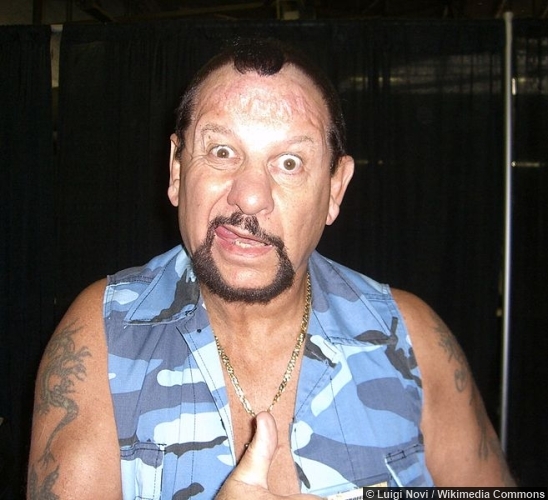 Luke Williams along with Butch Miller formed the tag team The Bushwackers but were also known as The Kiwis and The Sheepherders. Williams and Miller are from New Zealand and had success in North America with Jim Crockett Promotions and WWF. 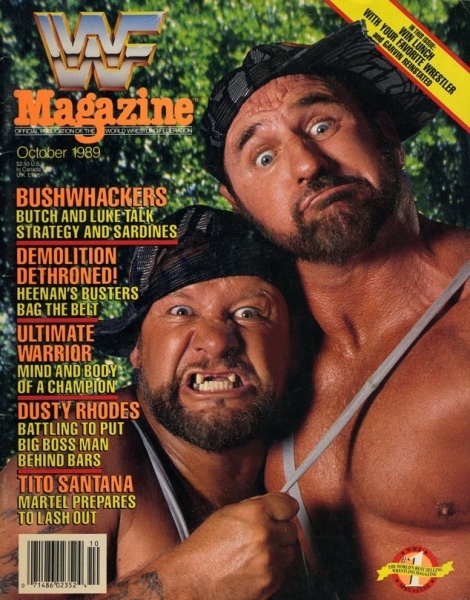 WWE announced on the February 23rd episode of Raw that the Bushwackers would be inducted into the 2015 WWE Hall of Fame. We caught up with Bushwacker Luke to talk about watching British wrestling growing up, working for Stu Hart, WrestleMania highlights and much more. Growing up in New Zealand, how did you first get into the sport of professional wrestling? My next door neighbour was a body builder and he had won a number of New Zealand body builder championships. One of the judges at the Mr. New Zealand was a wrestling promoter, and the judge asked my neighbour if he had ever thought about using his body to make money, so he started going to the gym in Wellington. One day my neighbour asked if I wanted to go to the gym with him and I began going on a regular basis. The gym was like in the first Rocky movie, the only equipment in the gym was a bench press and a squat rack, the rest was free weights, and that is how I eventually met the wrestling promoter and the rest as they say is history. Did you watch much wrestling whilst growing up? When I was growing up we used to get the old British World of Sport wrestling in New Zealand, we didn’t get any American wrestling. I started wrestling in 1962, it wasn’t until 1966 when I started going over to Australia and American promoters where putting on shows over there, but we didn’t start to get American wrestling on television until 1975.
Who were some of the wrestlers that you enjoyed watching whilst growing up from the World of Sport days? I enjoyed watching them all, Mick McManus, Giant Haystacks, Big Daddy, Dynamite Kid, Kendo Nagasaki, Rollerball Rocco, but the guy that really stood out the most for me was Jackie Pallo. I’ve been over to the UK to wrestle many times from Southampton to Scotland, I love wrestling in the UK, the fans over there are great and have a real thirst for the sport. What was it like when you went to North America for the first time with Butch Miller? The first time we went over to North America we were then known as The Kiwis and we went to Montreal where we met ‘Mad Dog’ Maurice Vachon and Andre ‘The Giant’ who had been in New Zealand in the late sixties so we knew Andre very well, because he travelled around New Zealand with us. In 1972 we were part of this company called, Grand Prix which was owned by Vachon and put on shows in Quebec, The Maritimes, Ontario and Vermont. Andre was the one that really helped us settle in to life in North America, Butch and I were just two boys from Down Under. You also worked for Stu Harts, Stampede Wrestling, what was that like? We worked with Grand Prix for a year and a half, and Vachon wanted to introduce us to another promoter, Stu Hart but we had never heard of Stu Hart or Stampede Wrestling before then. Our first night working for Stu was at the fairgrounds in Calgary and we were in a match against the tag team champions and we were with Abdullah the Butcher who was there throwing kids in the ring. 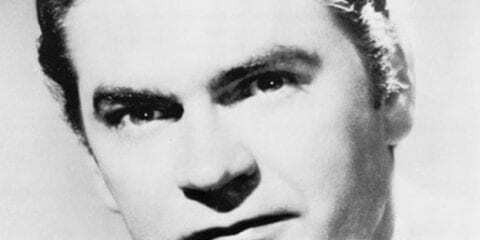 Stu asked what was going on, they were his kids, we didn’t know Stu had 12 kids, four girls and eight boys. That was on a Friday and we had another show on the Sunday and when we walked out we were booed, that was the most heat we got in such a short period of time. What was it like working in the NWA at the time when Rowdy Roddy Piper, Ric Flair, Ricky Steamboat, Jimmy Snuka where all in the promotion – you also worked for Jerry Jarrett and Jerry ‘The King’ Lawler? There was a lot of backstage politics going on in the wrestling business at that time and we didn’t know anything about the politics of wrestling at the time. At that point in time the only thing we knew is what we had to do in the ring and how to get heat, but we didn’t know who had stroke or who didn’t have any stroke. What was it like when you signed for the WWE and became The Bushwackers? When we were wrestling for NWA and our shows were being televised on the Turner Network, I had actually spoken to Vince McMahon Snr. in 1982 but like I said I didn’t know about any of the politics in wrestling at the time. It wasn’t then until 1988 that I got a call from Pat Patterson who asked if we would be interested in coming to WWE and changing our name to The Bushwackers. Before going to WWE you were a heel team and when you joined WWE you became more of a comedic team, was that a change you enjoyed? No, a lot of people said to us why did they change what we did. When Vince McMahon told us he wanted us to be the good guys that is when we realised we were going from a wrestling company to a celebrity company. In that era of 1988 / 89 at ring side of WWE events it was all television and film stars, lots of the wrestlers were going on talk shows, we were going on television shows like celebrity squares which had nothing to do with wrestling, they turned us from wrestlers into celebrities. What are some of your highlights from your time in WWE? We got to work with some really good tag teams during our time in WWE. One of the best feuds we had during our time in WWE was against Arn Anderson and Tully Blanchard, The Brain Busters. We worked well with Earthquake and Tugboat, The Natural Disasters. One of the toughest teams we fought was The Warlord and The Barbarian, Powers of Pain. Vince McMahon owns all the footage of us from when we worked for Stu Hart’s Stampede of wrestling as well and from our time in NWA, a lot of it is probably available on the WWE Network. You’ve taken part in a number of WrestleMania events, and participated in the gimmick battle royal in 2001, what are your WrestleMania highlights? My greatest WrestleMania memory will have to be WrestleMania VIII when we were the first out of the box against The Beverly Brothers. I will never forget marching out in that stadium and 60,000 plus fans going absolutely wild, it was an amazing experience and to kick off the show. How would you describe Vince McMahon as a boss? Vince was a great boss, we enjoyed working for him, he’s a promoter and I’ve been a booker for many promoters around the country but as a boss I couldn’t fault Vince and he would work his socks off, he was always at the shows and he would always make time for you if you ever wanted to talk to him about something. After your time in WWE, you had a spell working in ECW with the Dudley Boys, what was that like? We were the Down Under Dudleys, and that was great, Bubba Ray and Devon were fantastic to work with and I could tell they were a really good tag team and it hasn’t been a surprise to me the way they have dominated tag team wrestling in ECW, WWE and TNA over the past decade or so. It’s like when I worked with Shawn Michaels in 1983 / 84, he was a kid with a lot of talent and I knew he would go on to have a great future. Who are some of the wrestlers that you enjoy watching today? To be honest I don’t watch much of the current product unless I know some of the legends are going to be featuring on the show. I always watch when Roddy Piper is on, him and I are good friends and the same with Hulk Hogan. Dolph Ziggler, Seth Rollins and Daniel Bryan, I’ve known these guys for the past 10 years, AJ Styles, Samoa Joe all these guys I’ve known for a long time and they have all come such a long way. How much are you looking forward to being inducted into the 2015 WWE Hall of Fame? I’m really looking forward to being inducted into the WWE Hall of Fame, the night before WrestleMania 31. Butch is flying over from New Zealand for it and it will be a very special moment for the both of us. I’ve been a wrestling booker for lots of different promoters for many years and I still wrestle at shows all over America and I do shows in Europe and the UK. The main thing that takes up most of my time is running my gym, Clearwater Beach Fitness which is above Hogans Beach Shop, Hulk Hogan and I are good friends and he and a lot of other wrestlers come to my gym.